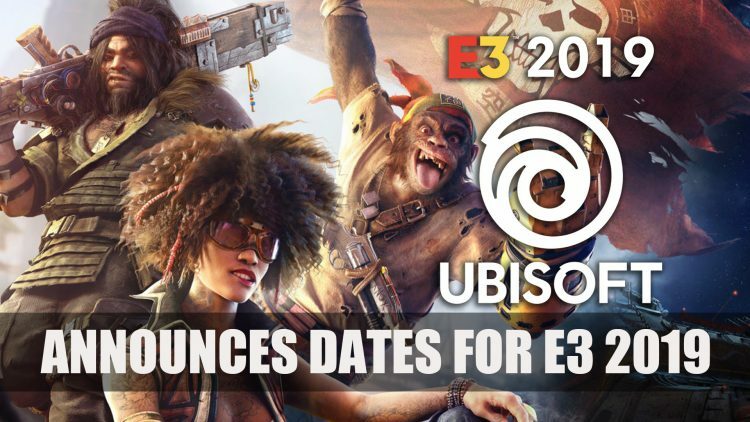 With a few months to go before the next E3 2019, Ubisoft nails down their date for the E3 press conference which will take place on June 10th 2019. The developer behind Assassin’s Creed Odyssey and Far Cry are setting their E3 press conference date for June 10th at 1:00pm PT. While we have speculated what Bethesda will be showing at E3 as well as CD Projekt Red who have already stated this will be their most important E3 yet. But what about Ubisoft? Well already revealed projects in the works are the pirate adventure Skull & Bones, as well as the action-adventure sequel Beyond Good and Evil 2. There are murmurs of a possible Watch Dogs 3 reveal, but nothing conclusive on that as of yet. While Assassin’s Creed seems to be off the table as Ubisoft have commented previously that there wouldn’t be a new entry until 2020. But there might still be a few surprises in store. Last year included the unveiling of Assassin’s Creed Odyssey as well as content for Beyond Good and Evil 2, For Honor, Skull & Bones, Starlink: Battle for Atlas, Tom Clancy’s The Division 2 and Transference. As more developers/publishers have counted themselves in for attending E3, we already know that Sony will be forgoing this year, as they shared that they will reach out to Playstation fans in their own way but have not mentioned what or how this will happen. If you want more recent news don’t miss out PAX East 2019 happenings as Gearbox Officially Unveils Borderlands 3. You can also read why Cyberpunk 2077 Developer CD Projekt Red Announces E3 2019 Will Be Their Most Important One Yet. You can also check out the upcoming turn-based RPGDivinity: Fallen Heroes Announced By Larian Studios.